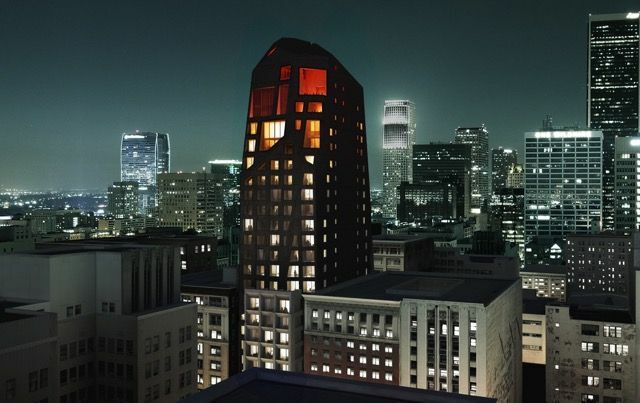 A skinny hotel is set to rise in Downtown Los Angeles’ historic core. 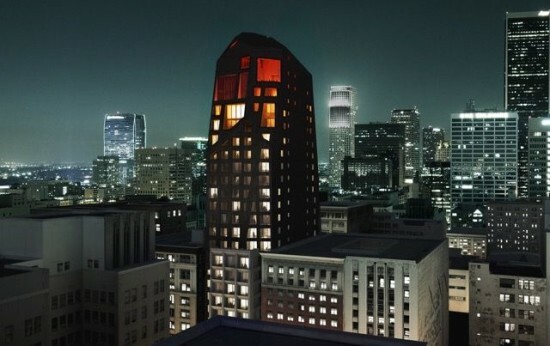 Designed by Buffalo, New York–based Adam Sokol Architecture Practice (asap) for developer Lizard Capital, the new Spring Street Hotel will tower 325-feet over the street and feature 176 guest rooms. 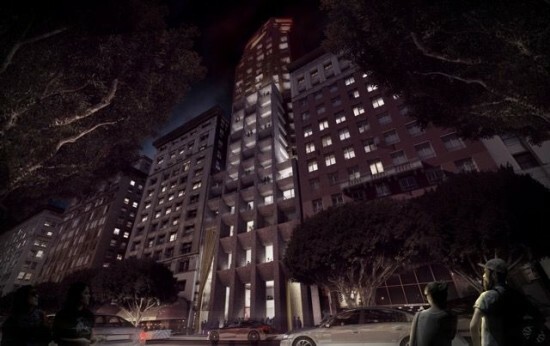 At 28-stories, the design introduces tallness to an area that’s currently mid-rise area, but not for long. 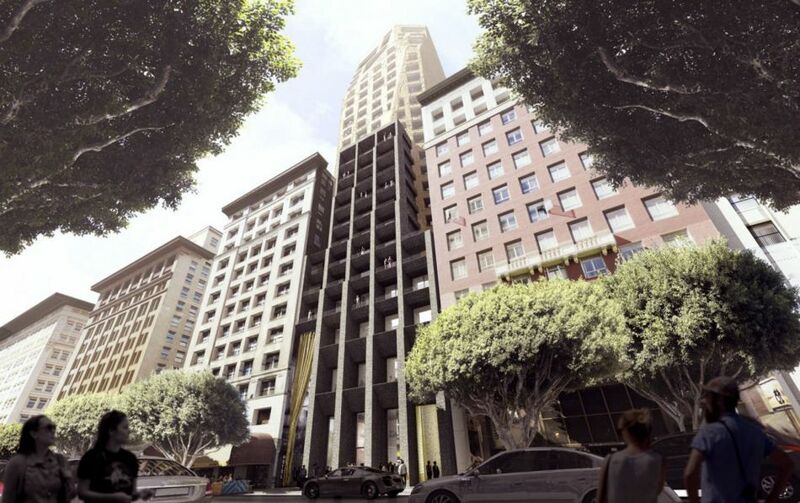 Renderings of the project, which was recently submitted to the Los Angeles Department of City Planning, shows a tower sandwiched between two historic structures. The design offers a conservative grid up until the halfway point. Things get squirrely once the building clears the height of the adjacent buildings: the facets appear and the geometry opens up to reveal large interior volumes, which could associated with the planned 3,310-square-foot rooftop bar. Other amenities include a 6,100 square restaurant, 1,570 square feet for retail, and a 1,250 square feet conference center. 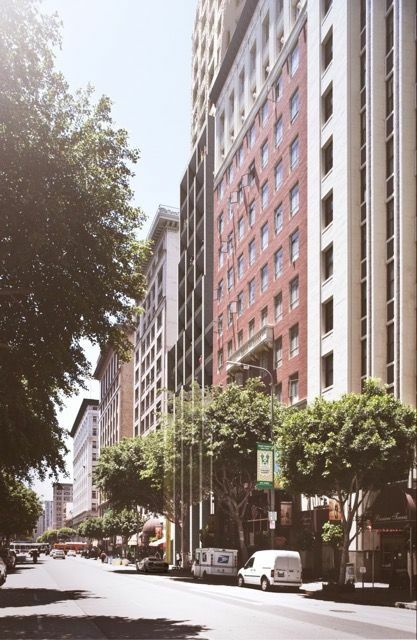 The Spring Street Hotel is expected to break ground late next year and is aiming for a 2017–18 opening.